I was talking to a friend who recently relocated to Kolkata. She was describing the grand Durga Pujo celebrations with colorful and majestic Pandals in almost every lane, the whole city seem to have been lightened up. I made a mental note to visit Kolkata next year for Durga Pujo. And why just Kolkata for Durga Pujo, there are so many festivals celebrated in our country in such an interesting and unique way. I want to witness the uniqueness of each festival first hand. Here is my first list and my reasons and i am sure there are many more and a 2nd list will follow soon. 1. 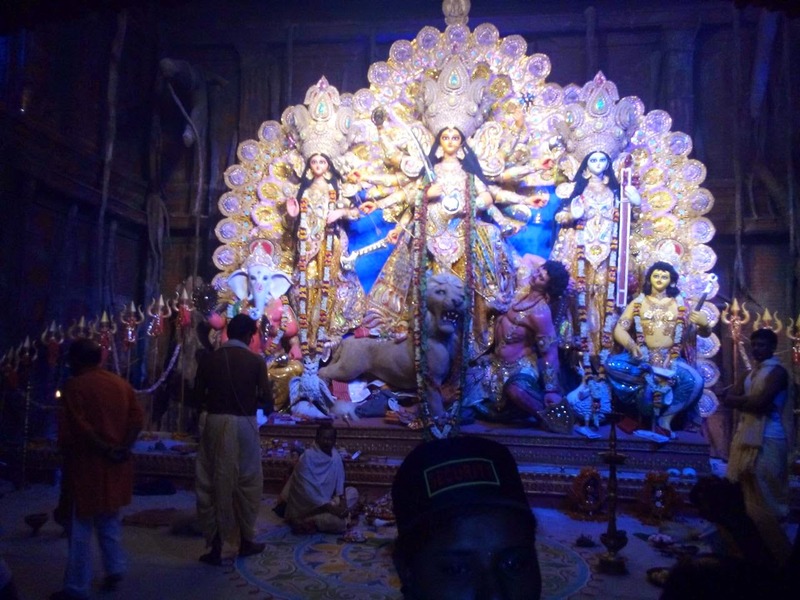 Durga Pujo in Kolkata . Why: Although Durga Puja is celebrated across the country, nothing could match the enthusiasm of Bengal. Every street and lane is decorated and you can feel and smell the festivity in the air. More information on wiki . Why: Well from what I have heard and learnt through the media, the celebration of Ganesh Chaturthi in Mumbai is magnificent. 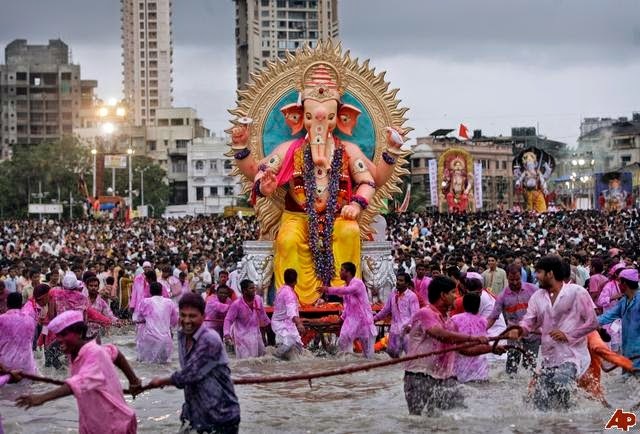 With thousands of people chanting "Ganapati bappa moriya" on the streets , it would be an experience to be amidst the crowd. Its also an emotional Journey for many as they take the Ganesha idol for immersion after having it at home and treating it as a family member for as long as 11 days. 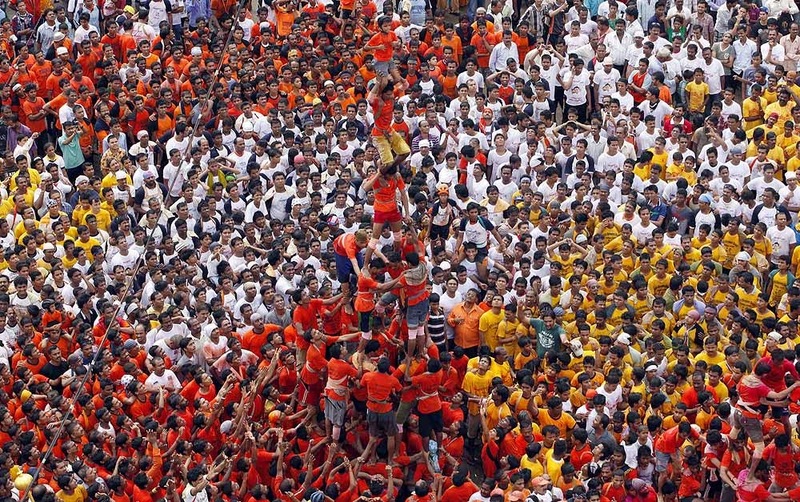 Why : The Dahi Handis (Earthen pot filled with curd) are hung as high as 10 story building,and the team of men and women form a human pyramid to reach it. Its immensely dangerous but that doesn't bring down the spirits of these brave folks. And that makes it worth the visit. Why : The sky seems to be filled with colorful kites from participants all over the world. 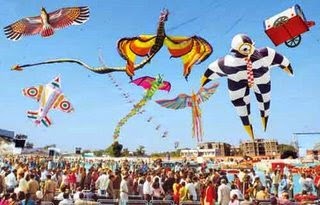 One could watch the innovations and creativity put to each of the kites, something one needs to experience. You could find more information on wiki. Why: I have played Holi since I was a kid and its only recently I read about the Holi being celebrated in such a different way. 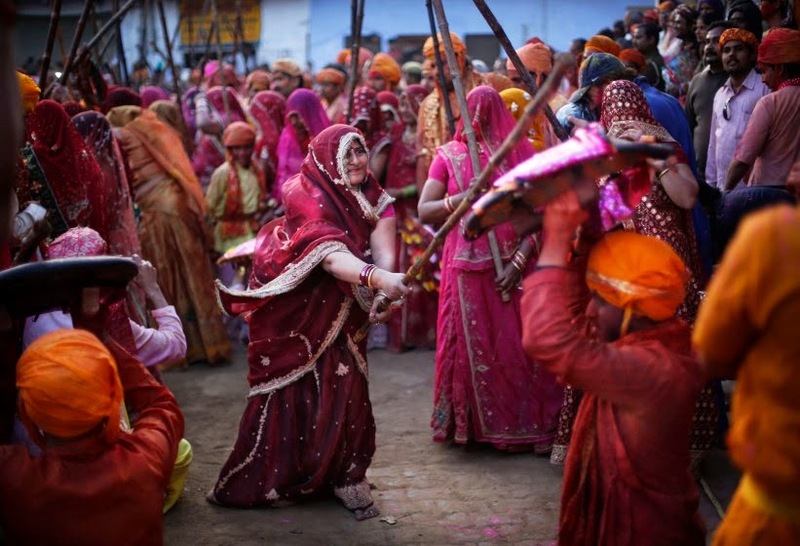 A day before Holi, Women beat up men with sticks (sometimes we men need some straightening up :P). The legend is that Lord Krishna was visiting his beloved Radha on this day and playfully teased her and her friends. Taking offense at this, the women of Barsana chased him away, hence the tradition. 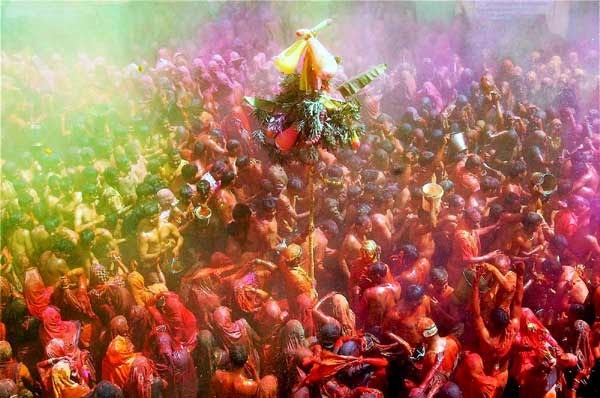 Also the whole of Mathura seems to be dipped in colors during this time of the year. Why : Beauty of the 'God's own country' has always attracted millions of tourist every year. 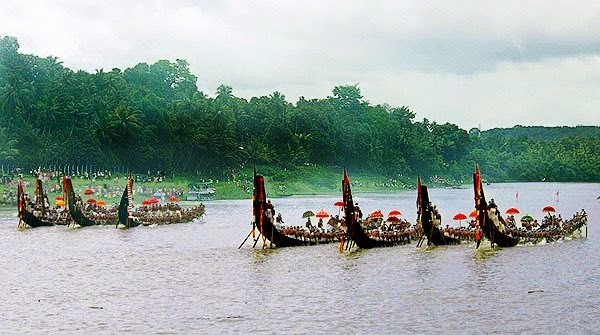 It would be a sight to watch the longboats with the participants on each boat rowing with paddles as they sing and shout loudly. Why: Punjab had always meant lush green fields, a large glass of lassi and extremely cheerful, energetic people. Celebrating Baishaki with farmers in Punjab with vibrant colors and watching them dance to the melodious songs (Bhangra and Gidda) sounds exciting to me. I am sure there are a lot more I am missing. If you have any suggestions, please feel free to leave them in comments section and i would love to compile them with my next list. You could also like me on my Facebook page 'Tryst with Miles' or follow me with Google Friend Connect option on the right panel! You missed an important one, more because it is near bangalore, Mysore Dussehra. My cousion says it the the best time to see the city.